POLS 300 is scheduled for Tuesdays and Thursdays in 2015 / 2016 – please check SSC for more information. Any further questions can be directed to the CENES department (Prof. Bozena Karwowska or Helena G. Kudzia). Our last Polish Discusion Club meeting was in April – we met at the MOA and had a social at the Koerner Pub afterwards. We hope to resume all activities in September 2015. Thank you for your participation and hard work all year! Special thanks to Olivia Chorny and Adam A. Osuchowski for their help with the Club. 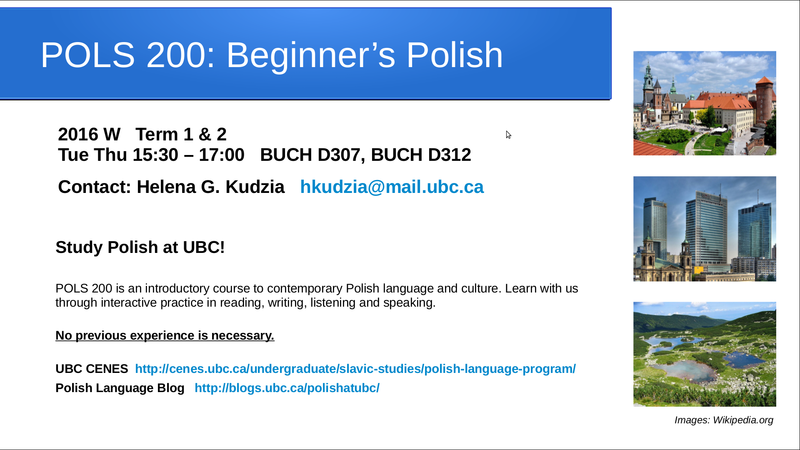 Welcome to the Polish Language Program at UBC Vancouver! 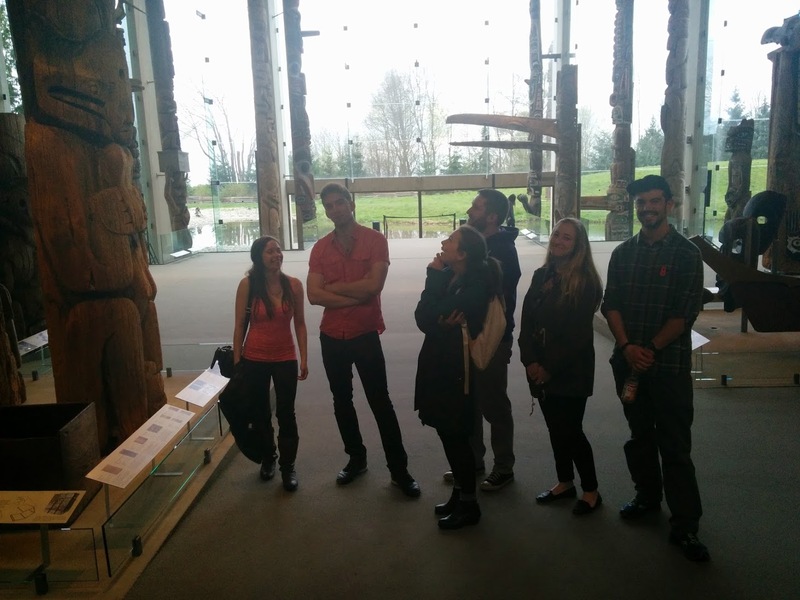 Why study Polish at UBC? 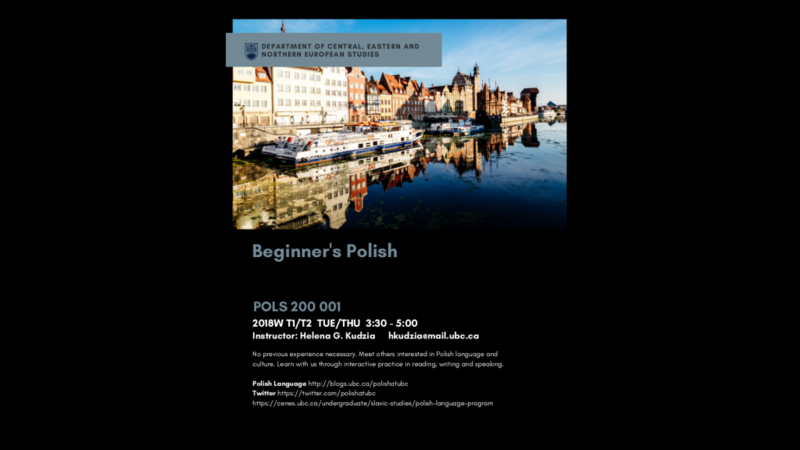 The Polish language courses (POLS) focus on formal acquisition of the Polish language through interactive practice in reading, writing, listening and speaking. Access to printed as well as on-line resources provide a variety of ways for students to learn. We use advanced learning materials and methods, allowing students to find their path to second language acquisition through self-expression in a class environment. By learning a foreign language we expand our world. We learn new words and idioms, but also to see the world in a different way. Polish is spoken by almost 40 million people in Poland and around the world. Many more claim their cultural heritage and roots in Poland. Poland is a member of the European Union (EU). Polish provides access to the European professional and business community. Poland has a very rich literary and cultural tradition. It was the native language of Joseph Conrad, Henryk Sienkiewicz, Czeslaw Milosz and Wislawa Szymborska. Poland was the birthplace of Frédéric Chopin and Roman Polanski. Ideas of many world-renowned scientists like Nicolaus Copernicus, Stefan Banach, Marie Curie and Bronisław Malinowski were also written in Polish. Knowledge of Polish opens educational and professional opportunities for you. Participate in exchange programs through UBC Go Global to study at Warsaw University, and join the Polish club at UBC. The courses are designed to welcome students from a variety of backgrounds with a wide range of interests. Check out the Polish Language Program website. Posted on July 16, 2014 August 20, 2014 Categories courses, UBC VancouverTags POLS 200, POLS 300Leave a comment on Welcome to the Polish Language Program at UBC Vancouver!